A generally horizontal hole produced underground primarily for the purpose of installing utility services. The dislodging or displacement of spoil by a rotating auger or drill string to produce an underground hole called a bore. 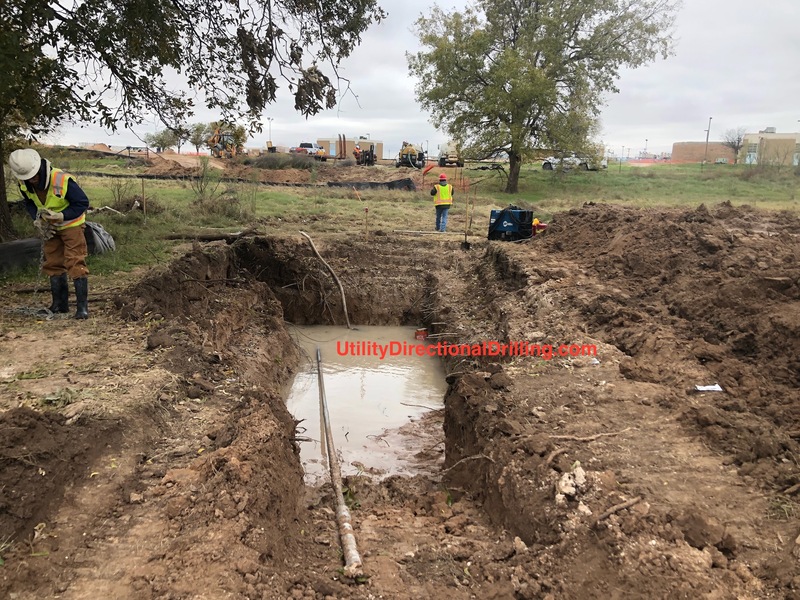 An underground construction company that uses horizontal directional drilling (HDD), auger boring and tunneling methods to install municipal, commercial and residential utility pipe for the electric, telecommunications, oil and gas, sewer, water and irrigation industries. Horizontal Directional Drilling (HDD) referred to as horizontal or directional boring is an alternative to traditional open-cut utility trenching methods. Thousands of customers have trusted us to solve their underground utility construction pipe placement needs. You can too. Directional Boring is Environmentally Friendly - Using specialized equipment underground utility facilities and infrastructure are installed, repaired or replaced with minimal ecological disturbance. Utility facilities can be installed under roads and highways, buildings, under forests, under wetlands and bodies of water. Directional Boring Minimizes Disturbance to Surroundings - No one likes their home, business or morning drive to be affected by utility construction. The footprint for a directional boring zone is usually smaller than a traditional construction zone and is often situated in an existing right of way. Directional Boring Decreases Rehabilitation Time - Because directional boring methods require little digging, the time to rehabilitate the work area to as-found or better condition is dramatically decreased. Directional Boring Saves Time - With decreased surface disturbance, utility projects using directional boring methods take less time to complete. Less completion time means less inconvenience associated with a utility construction project. Directional Boring Saves Money - Because directional boring projects can be completed in less time, including site preparation and surface restoration. Underground utility line installation projects that rely on directional boring save money. Directional boring costs vary according to the drilling machines required, equipment and crews mobilized, site access, underground obstructions, bore distance, bore depth, bore size, permits, workable hours and any additional site specific training that may be required. We take on directional drilling projects too small for the big guys to mess with yet tackle the projects that are too complex or big for the small guys to handle. Whether you have a residential water line, a river crossing or a storm sewer to install in a heavily congested area, we can help you accomplish your utility line and infrastructure installation projects on time and within budget. 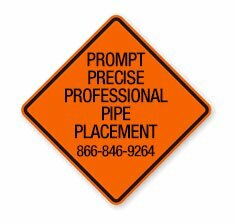 Utility Directional Drilling | Yes Call UtilityDirectionalDrilling.com! We have completed thousands of bores in all different terrains under every imaginable condition. We provide prompt, precise, professional placement of your pipe whether through horizontal directional drilling (HDD) or auger boring (Jack and Bore) or tunneling (TBM). We can directional bore Polyethylene (PE), High Density Polyethylene (HDPE), Polyvinyl-Chloride (PVC), Steel and Rigid Concrete Pipe (RCP) from 1 through 24, auger bore up to 60 inch in diameter and mine utility tunnels up to 108 inches. Are you ready to let UtilityDirectionalDrilling.com plan, execute and manage your next directional, auger or tunnel boring project? Pushing and pulling underground utility and infrastructure since 1990.